Ever since Mia was around a year old she has absolutely loved Dr. Seuss books. Each night at bedtime we would curl up on my bed or in my rocking chair and read one or more of his books. Mia is six now and she still loves Dr. Seuss just as much as she did when she was smaller. Of course after five years of reading most books written by Dr. Seuss Mia has some favorites. 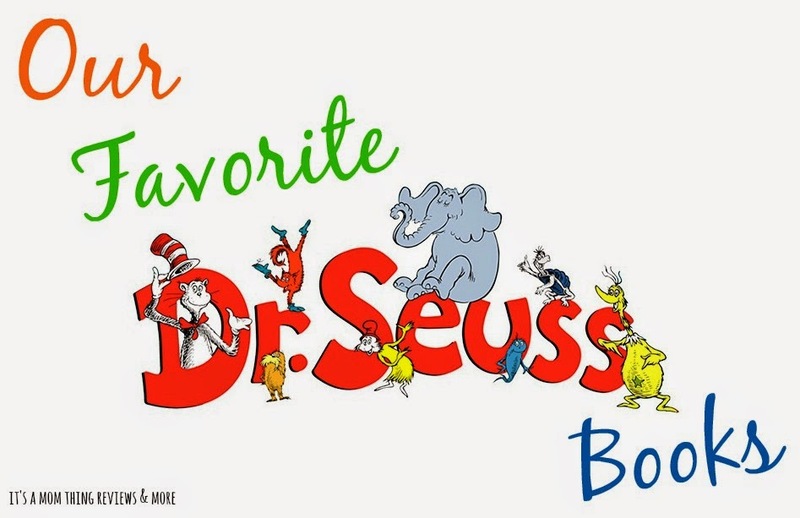 In honor of Dr. Seuss's birthday on March 2nd we wanted to share our favorites with our readers! Mia's all time favorite Dr. Seuss Book is Fox in Socks. She loves the crazy tongue twisters and listening to us read them to her. 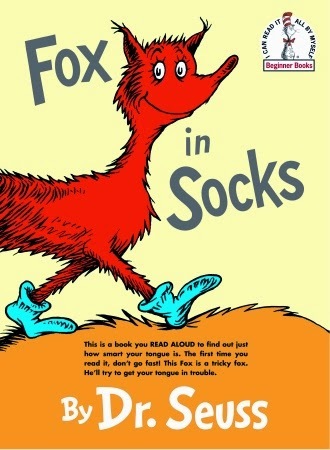 Fox in Socks in a very fun book to read with your little ones. 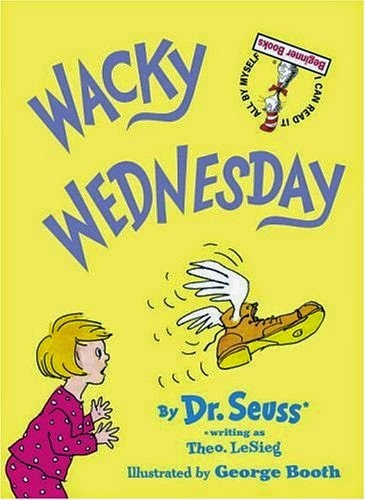 Mia's second favorite Dr. Seuss book, which he wrote as Theo Lesieg, is Wacky Wednesday. 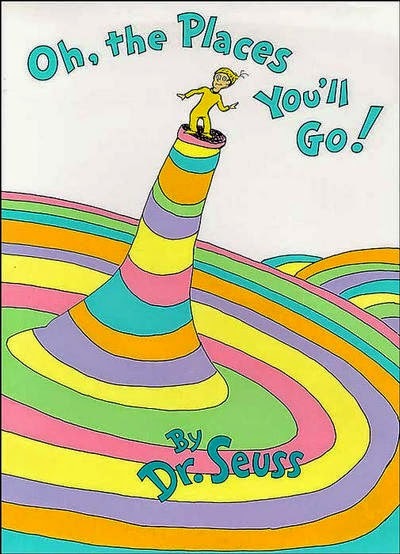 Throughout the book there are things that are "wacky" and children can point them out while reading. It is a funny book that gets kids interacting while reading. 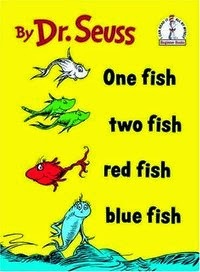 My favorite Dr. Seuss book is One Fish Two Fish Red Fish Blue Fish. I love that each page is filled with imagination. It is also a great book for beginner readers. One of our other favorites is Oh, the Places You'll Go. I love that this book is inspirational and teaches children about life's highs and lows. We love the illustrations and the rhymes. 5. 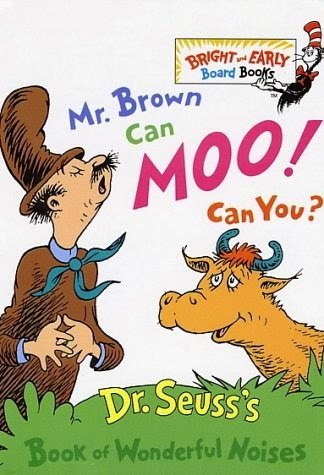 Mr. Brown Can Moo Can You? When Mia was a baby her favorite book was Mr. Brown Can Moo Can You. She loves all of the funny sounds that we would make on each page. This book is a great way to introduce to and teach children about onomatopoeia, It is a fun to read book. Do your children love Dr. Seuss? Do they have a favorite of his books? If so let us know in the comments! I remember the Cat in the Hat from when I was really young--I still love these books. I used to read them to my friend's children. My daughter loves Mr. Brown can moo can you. Me on the other hand am sick of it. It was good the first 5 times but after a million times its get old lol. I do love all of his books though. 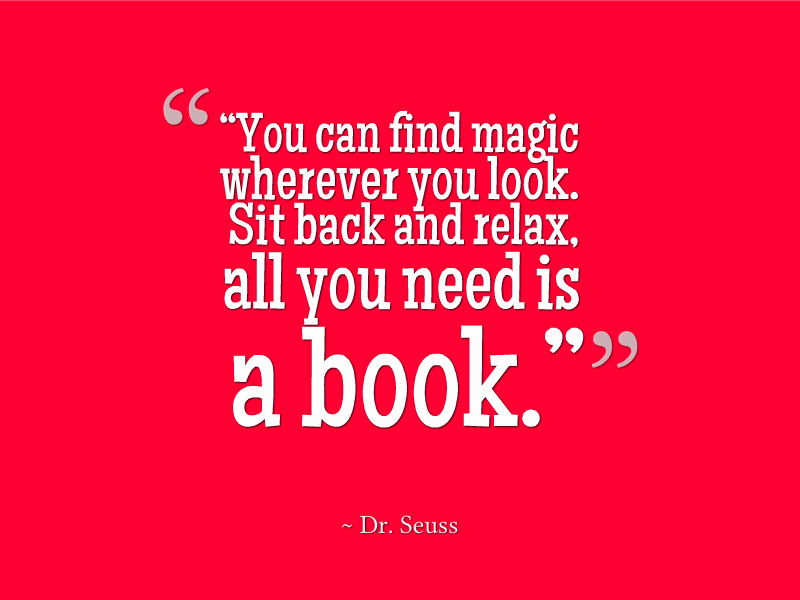 Oh we love all Dr. Seuss books and have quite a few of them. My toddler just loves Cat in the Hat and I think the rhymes really keeps her attention. My favorite books are Daisy Head Maizie and Happy Birthday to You.